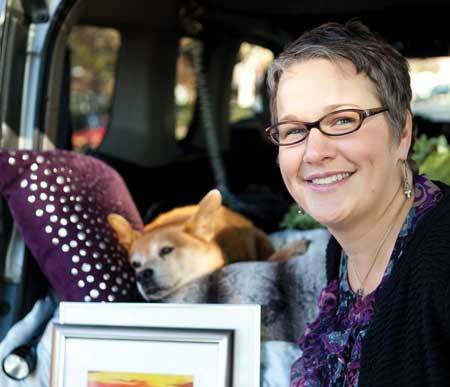 Kerrie Blazek, GGph’93, doesn’t want to do what society expects. So she recently spent a year on the road. A native of Belleville, Ill., Blazek held teaching jobs in St. Louis and then Las Vegas. But she wanted adventure. So she sold her condo and sold or donated most of her belongings. She removed the back seat of her 2007 Honda Element and installed a sleeping platform with storage bins underneath. In addition to cities from coast-to-coast, Blazek has been to Niagara Falls, Mount Rushmore and Devils Tower National Monument. She even stopped at the SPAM Museum in Minnesota. In recent months, Blazek has been developing a new life-coaching business. Her dog, Roubidoux, is named after sandstone formations in the Ozarks.